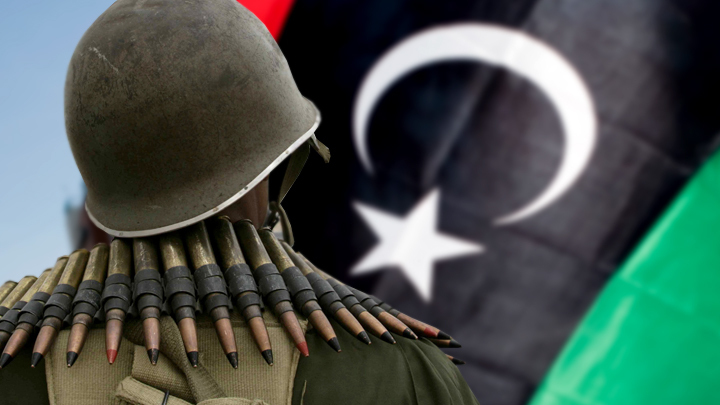 According to recent reports, the Libyan National Army (LNA), led by Field Marshal, surrounded the city of Tripoli, the capital and residence of the so-called National Unity Government (PNU), from three sides. There is information that the forces of the field marshal have already entered the outskirts of the city and taken the international airport. On their side are some groups that yesterday supported the government. The Italian press is outraged as if someone took the chair of this country before a film show, and now in the cinema there is a hubbub, a jolt of tickets, threats to call the police, and the film meanwhile continues inexorably. Italians blame not only Haftar, but also France and the United Arab Emirates. In addition, England was enraged. Demanded the urgent convocation of the UN Security Council. On which, apparently, I wanted to say something significant, but said something so banal and indistinct that even the Western press only shrugged. A spokesman for the LNA command, Major General Ahmed Al-Mismari, on behalf of his field marshal with unconcealed mockery, noted that London’s statement was "evidence of British support for international terrorism." In addition, the notorious "Seven", which at a meeting of its foreign ministers in France, called for an end to "all military actions and movements in the direction of Tripoli." The reason was called extremely funny: they say civilians are in danger. When the same Western countries in 2011 bombed a decent, stable and rich country into the chaos of a civil war, they somehow did not think about the civilian population. Perhaps the answer to the question is given by the information that the Italian corporation Eni is very deeply involved in the oil business in Libya. But just during the civil war here, the British BP and the French Total also acquired fairly strong positions. No matter how it seems to be the answer suggested in advance, that yes, this is exactly the case - there really is no need to look for a black cat in a dark room. Yes, that's the point! - and, in fact, it was these three countries that bombed the entire Libyan statehood. So, maybe, the matter is in this, such a banal, but so natural motive for Western imperialism? Oil or something else useful in exchange for someone else's statehood - is not this what the West has been doing on the globe for the last four centuries? However, the same question concerns Field Marshal Haftar. After all, the National Oil Corporation (NOC) also functions in Libya, which, taking advantage of the many powers in the country, managed to stay out of the full control of any government. And if the LNA is now squeezing out or killing the Tripolitan leadership, Haftar will remain the only one strong enough - and in fact quite legitimate - a leader who can lay hands on 90% of the country's oil fields. What he, by the way, is already doing, is turning the oil industries occupied by his army into his economic resources. Is it because, by the way, the Americans are behaving so passively, trying very hard to portray bewilderment and discontent? After all, Haftar is the man to whom the Americans saved their lives. The ally of Gaddafi, although the former, is needed by the special services. Everything is not so simple: different countries, of course, have oil interests in Libya, but the war is still fought primarily for power. For control of the country. For the right to make decisions on her behalf. The war, of course, is not only about oil. The war is for power in Libya, for the re-establishment of the Libyan state. And Haftar is a supporter and a consistent fighter for the restoration of the country. Under its auspices, of course; perhaps under the auspices of those forces that support him. But the actual oil resources are resources that can be used for further military operations. So this is not just a war for resources. This is a political war, a war for power. Yes, Haftar did live in the USA for quite a long time. And it is natural to assume that, of course, he had contacts with US intelligence agencies. Moreover, it is quite obvious. But his desire to get closer to Russia is also quite obvious. Orientation towards Russia among the Libyan military is actually very high. We saw this at our institute, where three Libyan delegations were already receiving. In addition, anti-American sentiment is very strong in Libya. This is manifested very much. Until the assassination of the US ambassador and diplomats of the United States. And if you push away from these facts, you can see that these killings were committed by those Islamist armed groups that were supported by both America and the West before. And here we are dealing with a peculiarity of politicians and the military in the East, which is called “untied agents” among the representative offices of the special services. That is, a person, yes, could previously carry out some orders, act in the interests of the forces that made him an agent. And then he can obviously go out of control and turn his weapons against those who created him. What we, in fact, saw in the example of Bin Laden. Therefore, such an option is possible with Haftar - that he was someone else developing, but now he is playing his own game. This is the main question about the situation in Libya now. Khalifa Haftar, the commander of the Libyan National Army, has a number of advantages in military terms. Yes, and in the military-political - too. First, after all, this is a man whom many in Libya perceive as the national leader, who fights against radical Islamist groups and fights for the consolidation of Libyan forces, Libyan society, for the re-establishment of the Libyan state. This appeals to many, so he enjoys the support of a significant part of Libyan society. Secondly, and militarily, his army is like the official military force of the Libyan reconstructing state. And the fact that a number of servicemen of the former army of Gaddafi joined the army also strengthens the military forces of Haftar. The government of national unity relies on military units under its control and a number of armed groups. Some of them can be assessed as Islamist, including radical Islamist. And therefore, in purely military terms, the Haftar army has more advantages and more chances for success. But as for the government of national unity, it relies on the support of the so-called international community. The UN and a number of Western countries recognize that this government is the legitimate body of the Libyan state. Transitional, but legitimate. And it is recognized, this government, as the representative of the Libyan people and the reconstituted Libyan state. And the question is that if the Haftar attack continues, then it is quite possible that a number of countries will both protest and condemn this attack. So in case of non-fulfillment of the conditions of political negotiations put forward by them, it is possible to apply more stringent measures in relation to Haftar. More stringent measures we have already seen. In 2011. Will Italy decide again on the bombing of Libya? In this case, the forces of the Libyan National Army? The question for the West is clearly not closed.